Last week was A LOT of eating out. We had some Groupons that were expiring that we needed to use and just overall a really hectic week with work and getting the basement prepped for the work to begin this week with the boy and my dad. We really are lucky that the boy and my dad will be able to do most of the work themselves, it will really save us a ton of money and I am hoping we will be able to do everything we want this way. It is pretty well gutted at the moment, so I have some before pictures of that, more before and afters to come. I wanted to share a couple of the restaurants and meals that we had last week with you, there were some fabulous ones and some average ones. Monday evening we were back to the Duplex in Uptown. 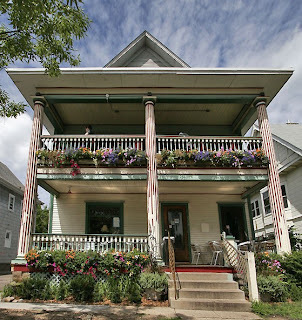 It literally used to be a duplex, but now it is a restaurant with dining both upstairs and on the main level, as well as al fresco dining. We have been there a few times, but the only time we had good service was the first time we were there with our friend J and her daughter when they were in town from Chicago. Every other time, the service was not that great. We had pleasant servers, but it was just not speedy. I had something very basic, a burger, but it was good. The boy had chicken and gnocchi which he really enjoyed. We have another groupon thing for Duplex that expires in a month or so, most likely we will probably be back, but overall, it was not one of our favorite places. 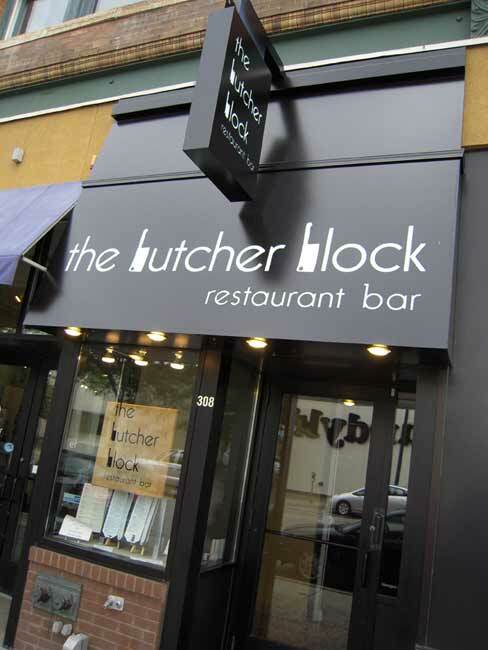 Tuesday night we tried out a place we had never been to in NE Minneapolis called The Butcher Block. This was by far our favorite meal and one of our favorite places that we had been to in a few weeks. It is very unassuming from the outside, and I was pleasantly surprised by the ambiance and decor. Since neither of us had ever been there before, and we weren't familiar with the menu, we asked our waiter for recommendations and I am SO glad we did. We also found out that the executive chef and part owner is a master butcher, has his own butcher shop in the building and his does his own meat daily. We each started with a salad and then we shared our entrees so that we could each have a taste. I had the braised short ribs that were melt in your mouth delicious, by far one of the best meals I have had in a long time. The boy had the most wonderful flavorful pork Marsala. We both really enjoyed our meals. Thursday night was a special night. 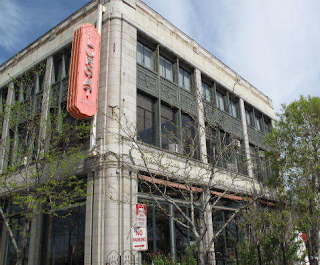 The boy and I celebrated our 5 year anniversary at a Minneapolis landmark, Jax Cafe. It is actually where my mom and dad had their first date. We had a wonderful dinner, I had the filet and the boy the prime rib. 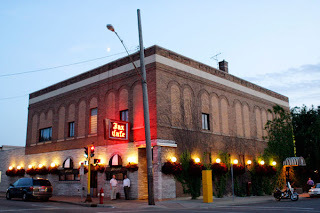 It is an old school steak house, complete with the dark wood paneling, professional servers and even matchbooks with our names engraved on them at our place setting upon our arrival. We had a wonderful dinner, I gave the boy a surprise and got us tickets to the Cirque du Soleil show Ovo that is coming here in late May early June. The boy surprised me with flowers and a bottle from one of my favorite wine makers Orin Swift. Can't wait to share it with him. Friday we joined friends at a wine event, that was not all that exciting. The wines were eh and the crowd was a little much, so we decided to head out to Bar Lurcat. I love the bar and ambiance and they have wonderful food. It was also wine week, where you purchase one glass and your next glass is .10. Can't beat that. Saturday was Summit duty, a trip to the local home improvement store for more supplies. I started out having a tough day. Just exhausted from the week, and slowly went down hill from there. I am not sure if I have a bug or what, but the past two days I have just been exhausted and all I want to do is sleep. I am hoping after a good night of sleep tonight, I will be good to go tomorrow, but I today has not been easy either. Another trip to the local home improvement store, some errands and just staying close to home getting work done as well as house work. This week is kind of up in the air. I am going to try to make dinners that will work if my dad wants to stay and eat with us he can and will like what I am making. We have a couple of things going on, but nothing too much. Plans - I am sure with a night off from working on the house, the boy will want to be back working on the basement. With only a week off, and a ton of work to do, the boy and my dad have a ton of work to do. Taking the day off of work and going to the movies and dinner with my niece and nephews. Plans - We have a really fun wine event to go to, and we have not seen friends S & J in a while and they are hosting so it should be fun. Dinner - I need to bring another appetizer, the last time S & J were at an event at my house they brought chocolate soup, the theme was wine and chocolate. I just need to bring something to share this time. I am thinking about an asparagus brie soup? Plans - Easter Sunday and a surprise. . .
Dinner - We are gathering at my sisters. I am not sure what I am bringing yet. My mom is doing ham and my sister is doing potatoes. I need to fill in the gaps! Still doing some researching and hoping to get some inspiration from Orgjunkies meal planners! Hope everyone has a great week! Excited to check out some meal plans this week over at the Orgjunkie! Meaghan still talks about the ketchup we got at The Duplex, with the basil and cherry vinegar in it. Sounds like a great week of good eats!